PSP is a progressive brain disease with no known cause or cure. It affects brain cells that control balance, walking, coordination, eye movement, speech, swallowing, and thinking. Five to six people in 100,000 have PSP. CBD is a progressive brain disease with no known cause or cure. It affects areas of the brain controlling limb movement, speech, and other movement functions. MSA is a progressive brain disease featuring poor coordination and balance, slowness and stiffness, and sympathetic nervous system abnormalities among other problems. Frontotemporal dementia (FTD) is a disease process that results in progressive damage to the temporal and/or frontal lobes of the brain. It causes a group of brain disorders that share many clinical features. The condition known as chronic traumatic encephalopathy (CTE) was formerly believed to exist primarily among boxers, and was referred to as dementia pugilistica. ALS, or amyotrophic lateral sclerosis, is a progressive neurodegenerative disease that affects nerve cells in the brain and the spinal cord. It is the best-known of a complex of conditions known as motor neuron diseases. Neurodegeneration is not just a disease that strikes the elderly. There is a spectrum of brain diseases that often onset in the 50’s and 60’s when people may have family responsibilities, careers and active lives. Half of all neurodegeneration under age 65 involves these diseases (NIH). Neurodegeneration is not just a disease that strikes the elderly. 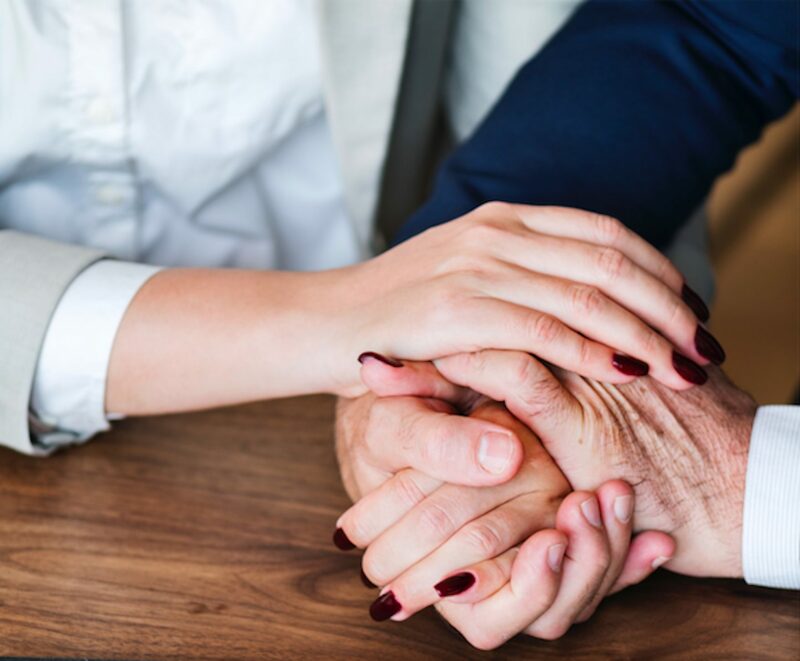 There is a spectrum of brain diseases that often onset in the 50’s and 60’s when people may have family responsibilities, careers, and active lives. Half of all neurodegeneration under age 65 involves these diseases (NIH). There are a number of resources at your disposal courtesy of our generous supporters. You can request an information package to be mailed to you, find a support group (either online or in-person), find someone available for a chat, or read the latest, up-to-date information on PSP. CurePSP has a comprehensive plan and program for pursuing research that may ultimately find treatment and cure for PSP and other prime of life neurodegenerative diseases. Research is now showing that all neurodegeneration is likely linked by common pathology, so that our research may eventually unlock the secrets of more-common illnesses like Alzheimer’s and Parkinson’s. CurePSP has supported more than 190 research studies since its founding in 1990 primarily in progressive supranuclear palsy (PSP), corticobasal degeneration (CBD), and multiple system atrophy (MSA). This effort continues today with several important ongoing projects. A key part of CurePSP’s mission of care, consciousness, and cure is to provide relevant, up-to-date information on prime of life brain diseases. These resources are for patients, families, and friends seeking to educate themselves, and others, about these diseases and their causes, symptoms, trajectory, treatments, management, etc. This information is sourced from credible peer-reviewed scientific sources only and is updated as breakthroughs in our understanding of these diseases occur. CurePSP strives to provide allied healthcare professionals with up-to-date information on these prime of life diseases to assist them in diagnosing, treating, and managing these diseases. We encourage you to download, print, and share these resources among your allied medical network. CurePSP produces a number of events that are of interest to researchers, physicians, and allied professionals. These bring together leading professionals from around the world for stimulating programs and presentations and informal networking. Among its various educational activities, CurePSP sponsors and organizes family conferences across the country, providing people with the opportunity to learn more about PSP, CBD and MSA and to develop a sense of community. 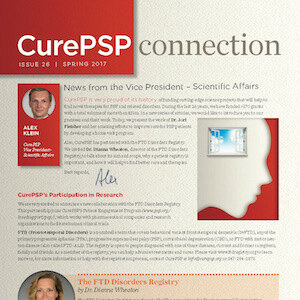 The bi-annual CurePSP Connection newsletter helps keep our donors and families informed. See the latest stories about the foundation and the board, staff, volunteers, families, and professionals who make CurePSP possible. We also write a monthly eNewsletter, bringing you even more developments, straight to your email inbox Sign up to both today!